The tech industry mostly fared well under Obama – he even used it to modernize antiquated government systems. But the relationship with President-elect Trump, who criticized Apple, Amazon and IBM while campaigning, is almost non-existent. Fixing that may avoid disruption by fiat. 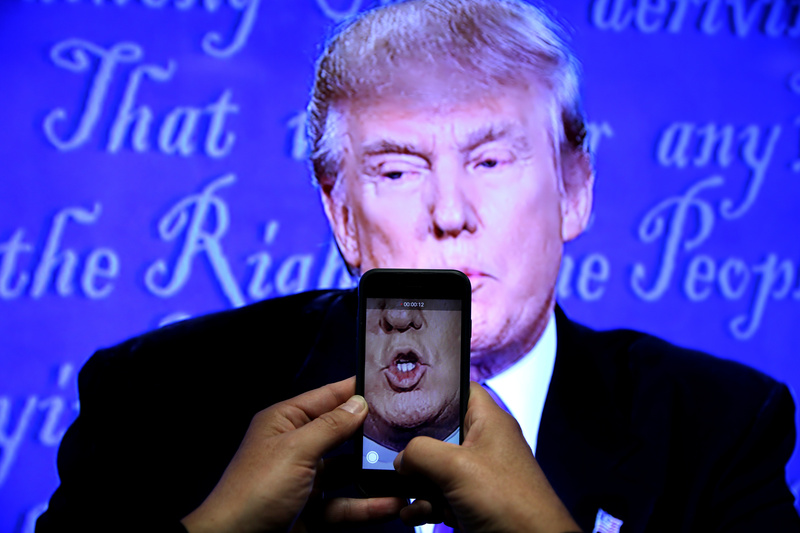 A journalist records a video from screen as Republican U.S. presidential nominee Donald Trump speaks during the first presidential debate with U.S. Democratic presidential candidate Hillary Clinton at Hofstra University in Hempstead, New York, U.S. on September 26, 2016. Donald Trump was elected as the 45th U.S. president in the election on Nov. 8. During his campaign, the Republican candidate called for a boycott of Apple after the company refused to help the FBI unlock an iPhone used by a shooter in a California mass shooting in December 2015. The Republican candidate also said Amazon has a "huge antitrust problem," after the Jeff Bezos-owned Washington Post published stories critical of Trump. Just before the election, Trump attacked IBM as one of the companies that has moved jobs to Mexico.